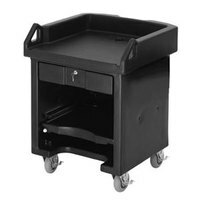 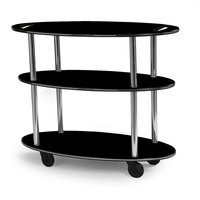 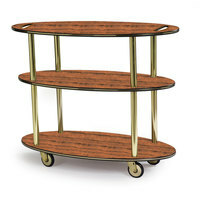 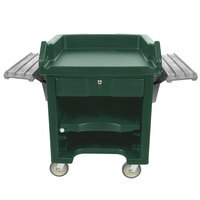 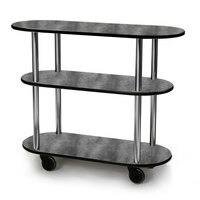 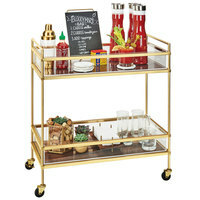 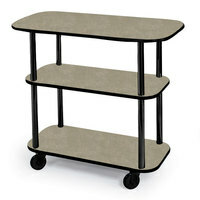 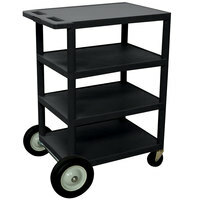 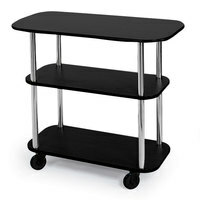 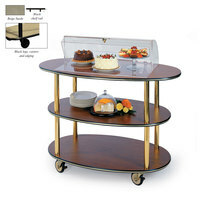 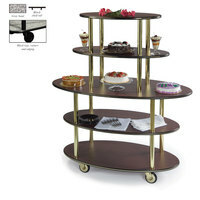 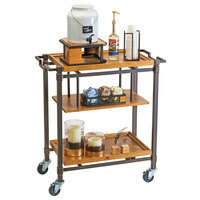 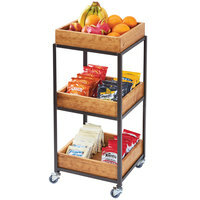 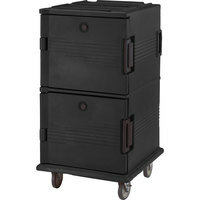 plus Luxor BCB45-B Black 4 Shelf Serving Cart with Rear Big Wheels - 18" x 24" x 39"
Geneva 36100 Rectangular 3 Shelf Laminate Tableside Service Cart with Mahogany Finish - 16" x 42 3/8" x 35 1/4"
Geneva 36100 Rectangular 3 Shelf Laminate Tableside Service Cart with Black Finish - 16" x 42 3/8" x 35 1/4"
Geneva 37212 5 Oval Shelf Dessert Cart with Victorian Cherry Finish - 24" x 50" x 56"
plus Cal-Mil 3921-84 Sierra Bronze Metal and Reclaimed Wood 3-Tier Merchandiser Cart with Removable Bins - 14 3/4" x 14 3/4" x 35"
plus Luxor BCB45-G Gray 4 Shelf Serving Cart with Rear Big Wheels - 18" x 24" x 39"
Geneva 36303 3 Oval Shelf Table Side Service Cart with Acrylic Roll Top Dome and Beige Suede Finish - 23" x 44" x 44 1/4"
Geneva 36100 Rectangular 3 Shelf Laminate Tableside Service Cart with Beige Suede Finish - 16" x 42 3/8" x 35 1/4"
Geneva 37212 5 Oval Shelf Dessert Cart with Gray Sand Finish - 24" x 50" x 56"
Geneva 36303 3 Oval Shelf Table Side Service Cart with Acrylic Roll Top Dome and Ebony Wood Finish - 23" x 44" x 44 1/4"
Geneva 36200 Oval 3 Shelf Laminate Table Side Service Cart with Pewter Brush Finish - 16" x 42 3/8" x 35 1/4"
Cal-Mil 3913-84 Sierra Bronze Metal and Reclaimed Wood 3 Shelf Beverage Cart - 36" x 17 1/2" x 39"
Keep your kiosks, bussing carts, and utility carts working in premium condition with our replacement food cart wheels. 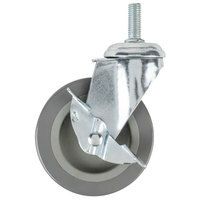 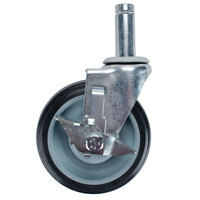 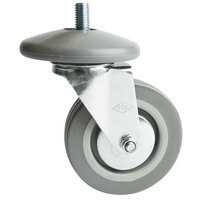 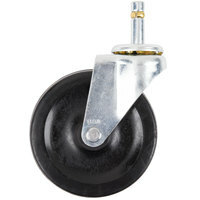 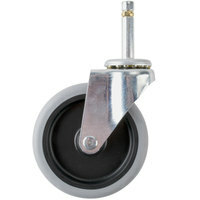 We offer all types of casters including swivel, straight, and casters with brakes, so you can replace any worn out wheel on your unit. 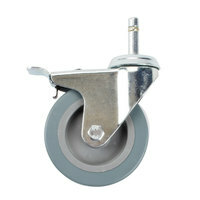 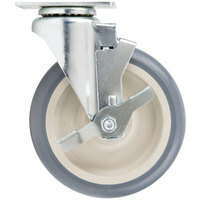 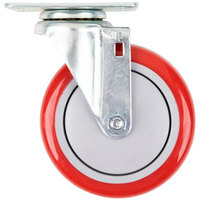 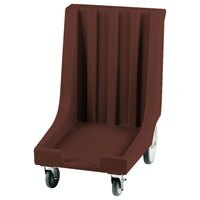 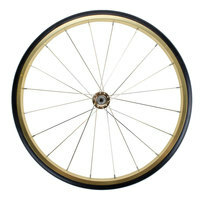 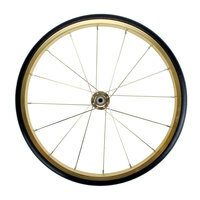 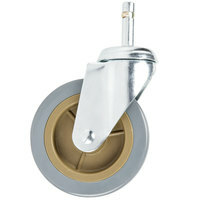 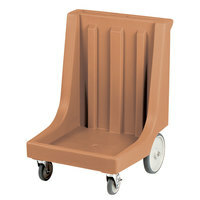 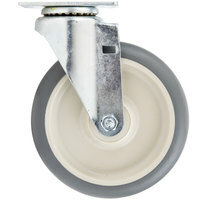 These hand cart wheels help you move your vending cart smoothly, so you only need to push it gently to move it forward. 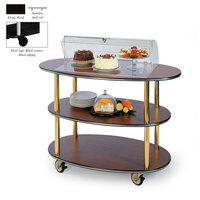 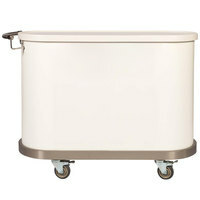 We also carry specialty food cart wheels that feature a classic style and aesthetic for merchandisers like popcorn carts. 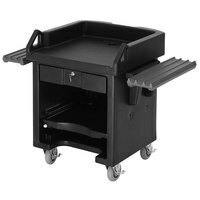 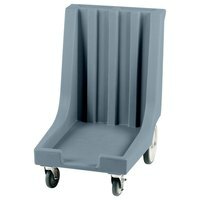 Whether you're running a salad bar, pushing a bussing cart through a busy dining room, or wheeling your merchandiser around an amusement park, we have the hand cart wheels to keep your business moving.